Class of 2018 in front of Leadership Memphis’ new headquarters. Great cities need great community leaders. It is no coincidence that thriving and vibrant communities have skilled, thoughtful, empathetic, and inspirational leaders. To this important end, Leadership Memphis has played a significant role. The sentiment in testimonials from Leadership Memphis graduates, such as the one featured above, strike at the very core of what the organization set out to do 40 years ago this year: making a positive, lasting, and community-wide impact by preparing and mobilizing leaders to work together for the good of the whole community. Leadership Memphis’ founders knew the importance of changing a less-than-flattering perceived image of the Bluff City that was still stinging from the assassination of Dr. Martin Luther King, Jr. some ten years earlier. Complicating matters was a racial divide which negatively affected many aspects of the community. Recognizing the need for a fresh approach, with respecting diversity at its core, the founders took action and created Leadership Memphis. Leadership Memphis’ focus was clear: to develop new ways to connect and create more effective community advocates across racial lines and with respect for differing viewpoints of others. The inaugural class of 42 people convened in December 1978 at The Peabody Hotel where they were challenged by Tennessee’s governor-elect, Lamar Alexander, to take charge of the city’s destiny. 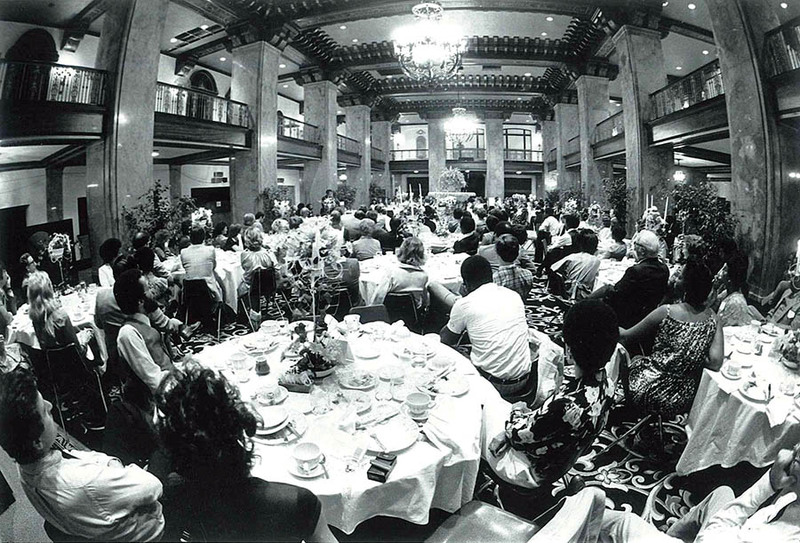 Graduation event for the first class at the Peabody in 1979. As an arena for civic understanding, Leadership Memphis became a champion in engaging diverse people in honest conversation about their city’s future. From the beginning, Leadership Memphis’ programming was anchored by its focus on racial reconciliation. Additional points of emphasis, which are interwoven, included justice, healthcare, media, environment, and faith. Leadership Memphis anchors its work in a quote from Dr. Martin Luther King, Jr., “I can never be what I ought to be until you are what you ought to be.” Presently it is nearly impossible for many of the current class members to understand the despair and division that Leadership Memphis was created to combat four decades ago. That, in and of itself, is an indicator that Leadership Memphis has had a positive impact in this community. The proof, as they say, is in the pudding. Nearly 4,000 alumni have completed the organization’s varied programs designed to achieve its goals. Alumni include mayors, city council members, county commissioners, executives from the City of Memphis, Shelby County, the Federal Government, civic and community organizations, and public and private corporations. Clergy representing over a dozen denominations, school or school system faculty and administrators, healthcare executives, doctors, attorneys, accountants, and small business owners are also deeply involved alumni, half being African-American, Latino, or Asian. The majority of the board of directors for Leadership Memphis has been composed of minority members for many years. The organization further sets an example for the community by spending almost 50 percent of its annual budget with minority or women owned business enterprises. 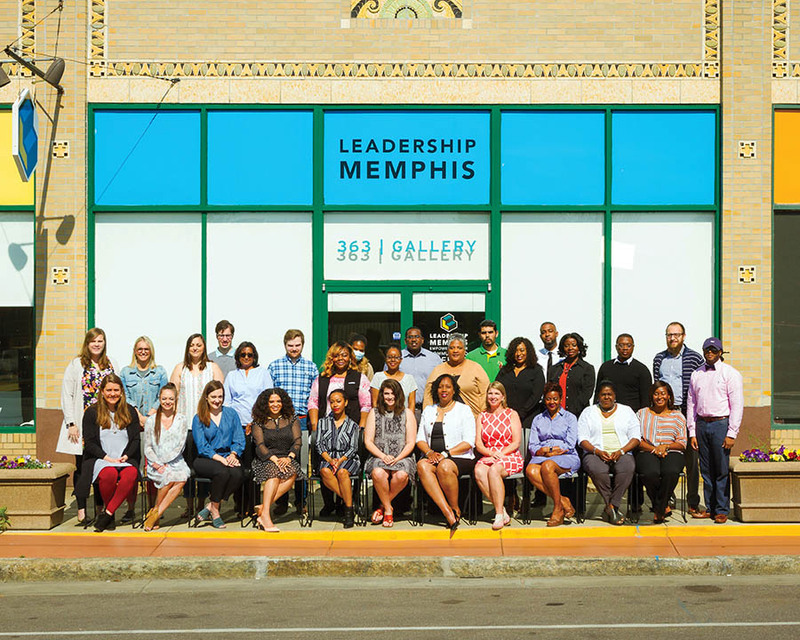 Leadership Memphis was – and is – a vital civic tool for forging new and meaningful relationships between unique blends of people from all segments of the greater community. As Leadership Memphis proudly celebrates its 40th anniversary, it is telling to note that six of the original founders continue to serve the community today. They include Jack Belz, Kate Gooch, Dr. Willie W. Herenton, J. R. Hyde, III, Fred Smith, and Sonia L. Walker. 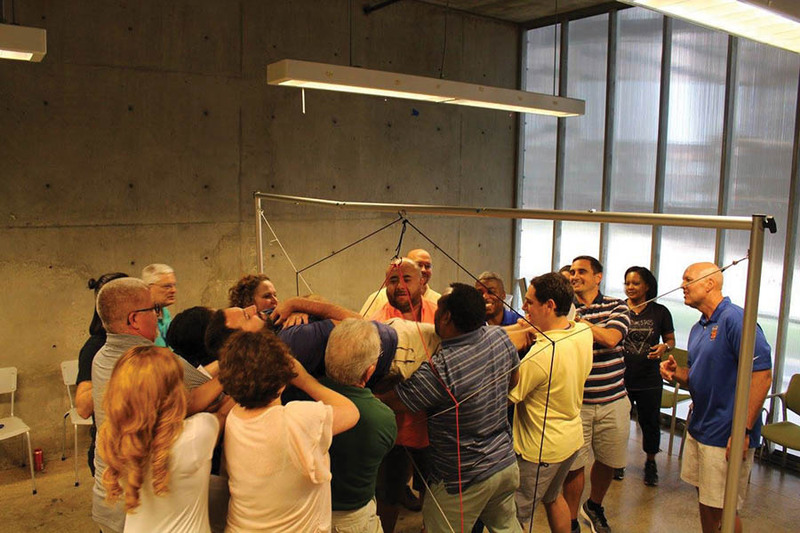 Members of the class of 2018 in a team building exercise. The organization’s numerous programs, which serve the entire Greater Memphis community, focus on encouraging and preparing people from suburban cities in the area to participate in various aspects of the growth and development of their communities. With emphasis on a macro (metro) and micro (neighborhood) look at those communities, they explore issues surrounding economic development, workforce development, cradle-to-career education, place and sustainability, diversity and inclusivity, and the various assets and challenges communities face, both short and long-term. Leadership Memphis also created action initiatives, such as Graduate Memphis, to increase post-secondary certificates and degrees resulting in a more competitive workforce. In addition, Leadership Memphis created a second action initiative, Volunteer Memphis, to increase volunteerism in the greater Memphis area, as well as bolster volunteer leadership and community engagement. And, for more than a decade, Leadership Memphis has annually hosted The Multicultural Breakfast each fall and The Leadership Awards Luncheon each spring. These programs, initiatives, and events have led to awards, including the Commitment Award from the Tennessee Center for Performance Excellence.